Deadly Amtrak train crashes point to a deeper problem with America's railroad system. From the Dec. 18th derailment of Amtrak Cascades 501 to the South Carolina collision between Amtrak’s Silver Star and a standing freight train earlier this month, train safety has assumed a prominent spot in a nation not lacking for news. A sleeper story here is the stunningly low death toll: five total in both wrecks. Similarly, in the 2015 derailment of an Amtrak regional express in Philadelphia, eight died out of 238 passengers and five crew. That’s a testament to luck, but also to increasingly safe construction of railcars, along with better training and practices. Train travel remains very safe. An estimated 18,680 people were killed in traffic incidents nationwide through the first six months of 2017. Another 2.1 million were seriously injured. Still, the wrecks in Washington, South Carolina and Pennsylvania were near-run things. Far more people could have been killed. Even if human error is ultimately to blame, the incidents point to the uniquely complex, bifurcated and backward state of American railroads. Into the 1950s, the United States boasted the finest railroad system in the world, with both passengers and freight carried by private railroads. For crack passenger trains, top speeds of 100 mph were not uncommon. They had top preference on the line; every other train was put on a siding to speed their journey. Legendary trains such as New York Central’s 20th Century Limited and Santa Fe’s Super Chief carried people in luxury. Scores of systems were considered Class I railroads. Seattle was served by four transcontinental lines, all with passenger trains. Although the definition has changed over the years, mergers winnowed this down to today’s seven Class Is, exclusively carrying freight except where Amtrak is a guest. Railroads were heavily taxed and regulated through much of the 20th century. Meanwhile, the federal government heavily subsidized airports and airlines, roads and ultimately the Interstate Highway System. This, along with changing customer preferences for the automobile, caused the railroads to bleed red ink in passenger service. Through the 1960s, “train-off” cancellations multiplied, accelerated by Washington’s decision to stop using passenger trains to carry the mail. Amtrak was created in 1971 as a for-profit organization to save the nation’s remaining passenger rail service. Even so, the losses were brutal. On the eve of Amtrak, 392 scheduled passenger trains were in operation. On May 1st, 1971, this was slashed to 174. Private railroads that joined Amtrak agreed to expedite their trains, although the new national passenger network owned few of its own rails (one notable exception being the Northeast Corridor). However, Amtrak’s “preference rights” waned and in recent years many host railroads slow passenger trains in favor of profitable freights such as intermodal trains. This led to delays, especially on long-distance Amtrak trains. The Point Defiance Cutoff, site of the December wreck, was an attempt to bypass a crowded freight route, funded by stimulus money (but not enough to correct an antiquated bridge). The biggest problem sewn into the creation of Amtrak was the lack of a reliable and adequate federal subsidy. As a result, Amtrak’s funding help is the source of an annual fight in Congress. Republicans, especially, insist that the railroad become self-sustaining, even though every form of transportation is subsidized. Last year, Amtrak requested a subsidy of approximately $1.6 billion (out of a federal budget of more than $4 trillion). President Trump has proposed deep cuts to the railroad, something that even Republicans are unlikely to stomach, especially those representing rural states that depend on its long-distance trains. 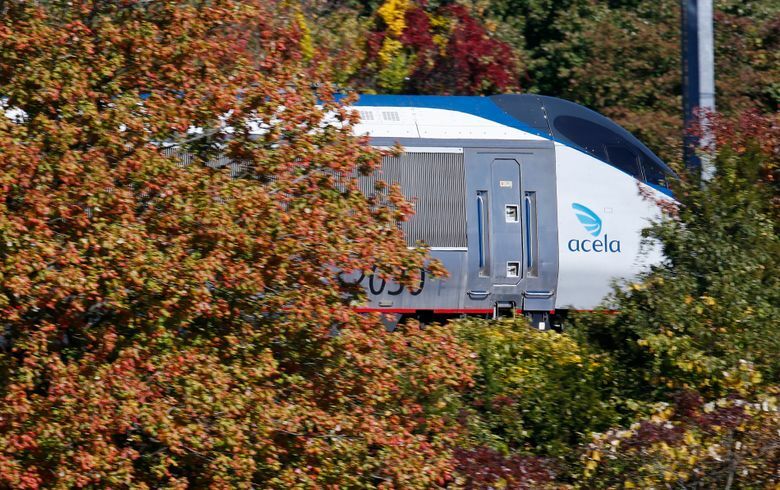 But the annual funding fight has always left Amtrak with inadequate resources to keep up with equipment and maintenance, something that keeps even the Northeast Corridor from being genuine high-speed rail (except for 32 miles). The funding gap creates a cycle of unnecessary disappointments and service cuts. Meanwhile, in recent decades some states have formed partnerships with Amtrak for enhanced regional service. Among the most successful is the Amtrak Cascades, supported by Washington and Oregon. Indeed, ridership has been rising nationwide (if it were an airline, it would be the nation’s fifth-largest carrier for domestic passengers). Americans love passenger trains, even if their representatives can’t agree how to fund them. The freight railroads, which endured the collapse of the Penn Central and bankruptcy of the Rock Island, received a lifeline with the Staggers Act of 1980. Perhaps the most successful deregulation measure in history, it led to a remarkable turnaround. With this, however, came waves of mergers, partly driven by a desire for more efficiency and partly by Wall Street’s appetite for more profits. Rail employment fell from around 1.4 million in 1950 to 169,000 in 2015. Hundreds of thousands of miles of track were abandoned. Some of these combinations, such as Union Pacific’s acquisition of Southern Pacific, led to such mashups in service that federal regulators have turned aside new mergers since the turn of the century. As a result, the United States is broken into several railroad types that are often at odds: the freight carriers, Amtrak, regional Amtrak systems and commuter systems. This plays out in implementation of positive train control (PTC), the modern automatic braking measure that would detect trouble ahead and stop the train. Amtrak was ordered to implement it, but Congress didn’t appropriate funding. And many freight railroads that host Amtrak trains long resisted PTC. The technology is costly and complicated, plus it runs against pressure to raise the stock price. (BNSF, owned by Warren Buffett’s Berkshire Hathaway, completed all mandated PTC on its network). Despite a congressional mandate for PTC starting in 2008, with seven years to complete the work, the rail industry this past week said it might not be finished until 2020. The result is such an efficient system that it beats airplanes between some city pairs. This produces far fewer greenhouse gas emissions, while freeing airliners for longer routes. Freight similarly moves faster and greener compared to the United States. “Solutions” here are an overwhelming task given today’s political environment. Some common-sense responses include regulators insisting on faster PTC implementation and Congress funding Amtrak sufficiently to safely maintain the national network. Strange as it is, the present system “works.” Do no harm. But it needs refinement, cooperation and money until a national consensus forms to build separate high-speed passenger rail in the most promising regions. But that’s a heavy lift. We didn’t fall backward overnight. While some efforts are under way in America to catch up, notably in California, they face significant hurdles. Right now, we can’t come together enough to sustain Amtrak with PTC. Again, human error is to blame, but on a national level. Correction: This article was originally published Feb. 10, 2018, and corrected the same day. A previous version said the new national passenger network owned few of its own rails, with the notable exception of the Northwest Corridor; that has been corrected to say that the notable exception is the Northeast Corridor.